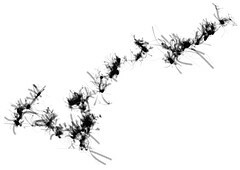 Film dialog, taken from subtitle files, defines movement and appearance of particles that leave traces on the screen. 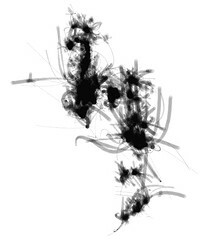 Smoky watercolor drawings emerge from each movies individual frequency of spoken words and their letters. 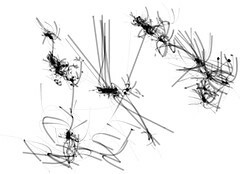 Several particles move across the screen according to their individual acceleration and velocity values. 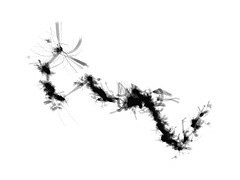 Each particle is fed a letter of the current displayed movie dialog. The amount of active particles is defined by the amount of letters in the subtitle line. 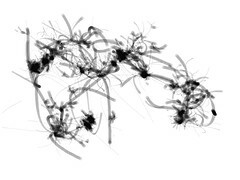 The letter influences the particles movement dynamics by adjusting the acceleration value into a calculated direction and changes its size by defining a growing or shrinking rate. Lowercase consonant letters are relocated to the position of the word’s starting letter, while lowercase vocal letters bend their path towards the direction of the word’s starting letter. This fixed set of conditions lacks random actions and therefore causes the exact same drawing if run twice. Yet the applet allows the user to manipulate the drawing by either stopping the dialog replay or changing the playing speed. By hitting the pause button, the movie stops and the particles remain with the letter the have been fed right before. This allows the particles to follow their initiated pathways without constantly changing pace and direction. 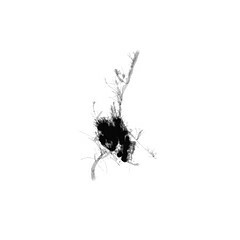 Movies that are defined by rapid successions of spoken dialog produce drawings that consist mostly of black ink blobs that grow together, as the particles are constantly reset with new parameters. 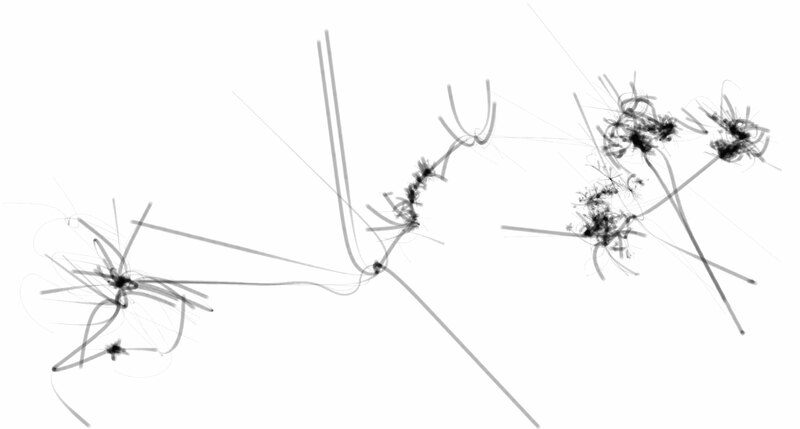 Movies that show long silent pauses between scenes gives particles more time to produce long lines and curves. By altering the replay speed of the movie, size and dynamic of the emerging drawings can be controlled. 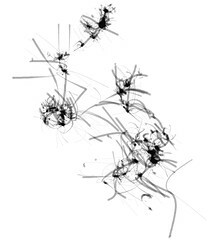 Posted in Projects and tagged 2007, applet, data visualization, generative, movies, particles, processing, subtitles. 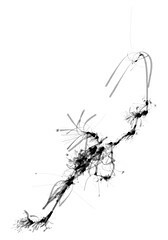 I am writing a thesis on social network visualization would like to include the image Blowup (1966). I am therefore seeking your permission to include it in my thesis. Naturally, I will credit you. Hello Peter, feel free to use the image!